Congratulations to Vermont Cynic Editor in Chief Natalie DiBlasio, who today posted her first Page One story at USA Today, where she began a news internship just one short week ago. 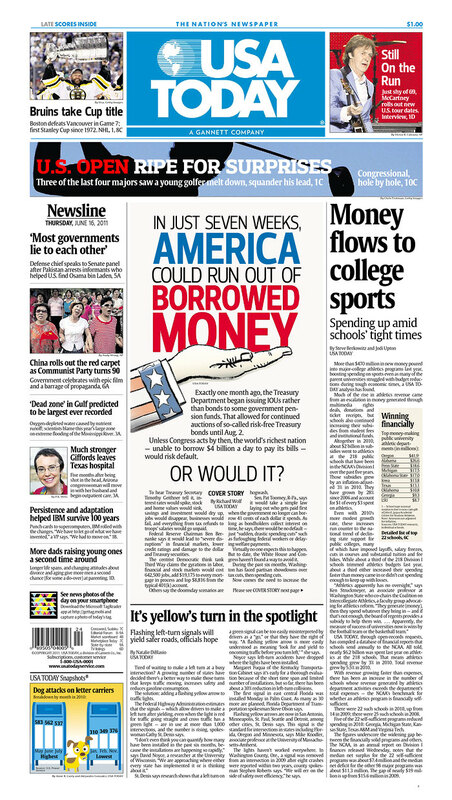 No other USA Today news intern has made the front page this quickly, newsroom sources say. The story, about cities and towns canceling Fourth of July fireworks celebrations because of budget problems and dangerously dry conditions, required DiBlasio to interview sources across the country. DiBlasio, a UVM senior, became The Cynic’s top editor in January after serving as news editor, assistant news editor and news reporter. She says she first became interested in news reporting in Fall 2009, when she took News Writing Across the Media as part of the Public Communication major at UVM. She went on to intern for The Burlington Free Press, a local newspaper that, like USA Today, is part of the Gannett newspaper chain. DiBlasio is the first Cynic staffer in institutional memory to get an internship at USA today. She works in the heart of the newspaper’s Washington, D.C., newsroom. For updates, please follow @UVMStudentMedia on Twitter. Two days later, DiBlasio did it again: this time while researching a story that wasn’t expected to go A1, but her reporting turned up information JUST THAT GOOD. 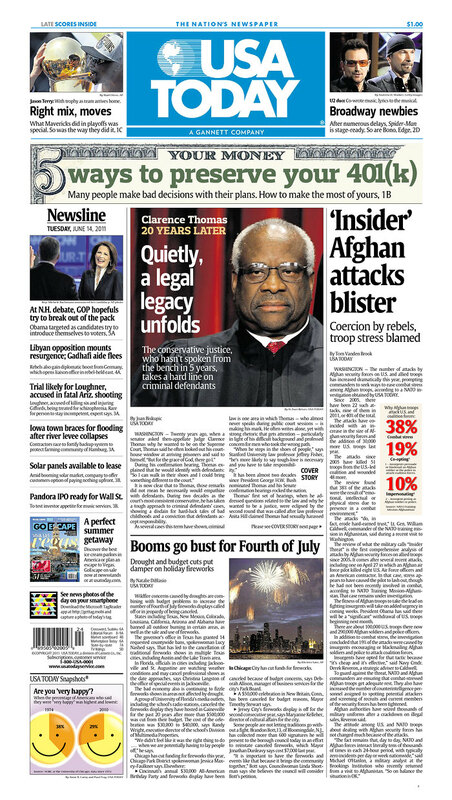 Fun fact: The story, though anchoring the front page of the print edition, loomed large as the top story of the online edition, as displayed below.